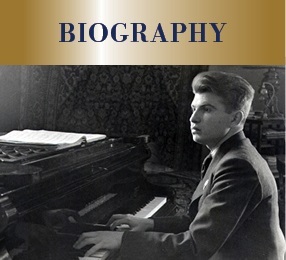 Emil Gilels’ biography, presented on our website, was exclusively written for the Emil Gilels Foundation by the Russian musicologist Prof. Dr. Elena Fedorovich. To date this is the most extensive biography of Gilels in German, and so bridges a gap in Western musicological research. 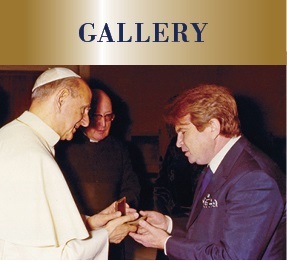 The gallery contains numerous images which document the life and works of the exceptional pianist, Emil Gilels. Amongst them: the conductor, Claudio Abbado; the violinist, Isaac Stern; the pianist, Wilhelm Kempff as well as private photographs of family members. Many of the documents presented here are published for the first time. This interesting collection ranges from Emil Gilels’ birth certificate to the poster of his last concert. 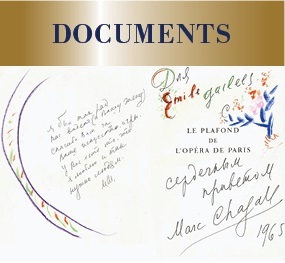 Likewise, the collection includes letters, postcards and telegrams from famous musicians and personalities including Dmitri Shostakovich and Yehudi Menuhin. We would be grateful for any information that helps to supplement this collection. Joachim Kaiser, Kurt Mazur, Rodion Schedrin and Aldo Ciccolini are only a few of the prominent personalities who met Emil Gilels. 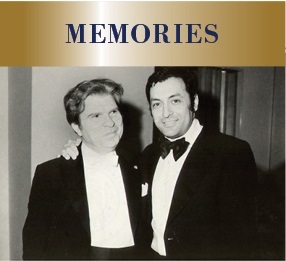 Memories of those fortunate to have met the great pianist are presented here as written documents. These documents present the opportunity to uncover a lively part of the cultural history of the twentieth-century. 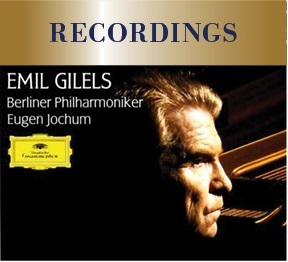 There is a discography of published recordings of Emil Gilels, based on findings over the years of Ates TANIN (status from August 17, 2014), that was based in turn on the pioneering Gilels discography of Eric Bartels. Your comments, additions and corrections will be appreciated. 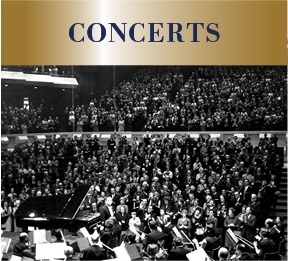 This list of concerts is based on an amalgamation of different sources. Chiefly this information is based on the work on Lev Barenboim (posthumously published in 1990) and Ates Tanin (2010), which is substantially completed by Falk Schwarz and Judith Raynor (2011). Gilels’ personal notes, 1938 – 1970, give an additional insight into his concert life.